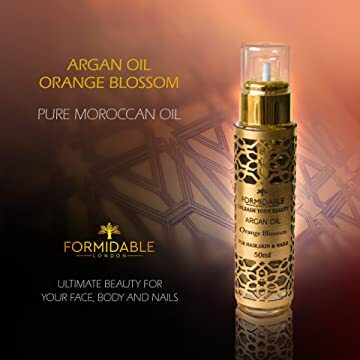 100% Organic, multi-Purpose with cold-pressed Argan Oil. Beautifully bottled in dark amber glass covered with a leather artisan from Marrakesh, and complete with pipette dropper for ease of use. Sold by Marogan and Fulfilled by Amazon. Get it by today, 24 April.